Compassion started work in Bolivia in 1975. Today, there are over 89,000 children registered in our programs through 222 church partners. Bolivia has made strong social and economic gains in the past two decades; in fact, it has been South America’s strongest-growing economy in that time. Yet the nation stands at a crossroads, thanks to a controversial decision from its highest court to allow President Evo Morales to seek election for a fourth term. As a member of the Aymara indigenous majority and with a background in a coca growers’ union, President Evo Morales was elected in 2005 on a platform of reform, workers’ rights, and advocacy for the poor and marginalised. He renationalised the oil and gas industries and used the subsequent income to invest in social programs, lifting millions of people out of poverty. Between 2000 and 2015, the proportion of Bolivians living on less than US$3.20/day fell from 42 per cent to 12.9 per cent, and the number living in extreme poverty (less than US$1.90/day) improved even more dramatically. In 2016, President Morales sought permission to change the constitution and run for a third term, but the people voted against the proposal. After initially accepting the outcome, the President later challenged it in court—and won. Opponents have criticised the court’s decision as a “blow to the [nation’s] constitution”. Despite some calls for protest, Bolivia has remained relatively calm, but feelings of unrest may grow as the election, due in 2019, draws closer. Meanwhile, many children still live in poverty. Bolivia still struggles with the issue of child labour; many children of school age have traded the classroom for the workplace, often doing low-paid, difficult and dangerous work. It’s a move born of desperation, and while it may mean a slight increase in a family’s income, working children are at a long-term disadvantage when it comes to education and opportunities for stable employment. Dear Sponsor, Greetings from Bolivia! My name is Mario Vásquez, and I’ve been working for Compassion for about 33 years. I started as an errand boy, and 26 years ago I became National Director for Bolivia. I’m married; my wife’s name is Eva and together we have four beautiful daughters. And to complete the female domain in my home, we have a female cat as a pet. My name is Mario Vásquez, and I’ve been working for Compassion for about 33 years. I started as an errand boy, and 26 years ago I became National Director for Bolivia. I’m married; my wife’s name is Eva and together we have four beautiful daughters. And to complete the female domain in my home, we have a female cat as a pet. Having been in Compassion for so many years, I’ve been able to witness that it is God’s tool to shape and transform lives—in this case, the lives of children in Bolivia—so that society can be provided with men and women who have Christ-centered and Bible-centered values. I believe that in this wonderful history of working with children who live in poverty, there are two heroes: the first is the sponsor or donor who gives their money in faith, wishing to support a child. Thank you for your help! The Bible says that he who gives to the poor lends to God (Proverbs 19:17). The second hero is the worker at the project, who works directly with the children day to day, providing an environment so that the children can come to know God’s purpose for their lives. The relationship between sponsor and sponsored child is invaluable, perhaps not always at the beginning of the relationship, but if the recipient is a teenager and when he/she reaches youth, the letters represent the vehicle by which their self-esteem grows incredibly. A few days ago, I heard the testimony of a young lady who has a birthmark that covers much of her face. When she was a child, she suffered bullying from other children who called her “werewolf”. She says that when this happened, she just wanted to hide. But a miracle happened because her sponsor did not stop writing and telling her she was beautiful. This communication through letters helped her so much that the girl has come to feel comfortable with her birthmark. Currently, she is a professional and works with other young people helping provide leadership training. Through some surveys, we have been able to see that, thanks to the influence of the sponsor and the work that Compassion does, there is significant difference between children who participated in the program and those who didn’t have the opportunity of doing so. A good example of this that I keep in my mind is the testimony of a sponsored child who completed her university degree; she helps her family, supports church, and is now mentoring other beneficiaries in the program. When she was asked about her other siblings, with sadness she said that none of them completed university and that the eldest already has a family and too many responsibilities that she finds difficult to fulfill. In Bolivia, the main challenges that children face are related to a lack of role models within their families. Most of our children live in overcrowded conditions, which makes them vulnerable to all kinds of dangers. The older children take care of the younger because their parents go out to work. They also suffer violence from their own parents under the pretext of being disciplined. Sadly, in Bolivia, it is part of the culture to exercise violence against the most vulnerable. Children live in sub-urban areas, where they face many difficulties like difficult access to basic utilities. Public transport is poor and also expensive. Schools and healthcare centres are far away. Thus, very often, our church partners become an oasis in the desert. My great joy in having worked with Compassion for a long time is that I can see the fruits of this ministry. I remember the faces of certain children at the project, and now I can see them all grown up: pastors, doctors, people responsible for their families. Learning that they’re good people, that they’re out of poverty, that they see their future with hope and optimism makes me see God’s power. My desire and goal is to provide the Bolivian society with citizens who represent God’s Kingdom well, who are good children, good parents, good husbands, good bosses, good workers, and good citizens—men and women who help and support their neighbour. Also, the work that churches do is acknowledged in the communities. It is acknowledged by the community leaders. For instance, we have this growth strategy called “Church Planting”, where we encourage those churches that have been working with us for a long time (15 to 20 years) to go and plant other churches in areas outside the city. What happens is that these churches are welcomed in the new communities. The community leaders there help them find spots where they can start a church that will also work as a Compassion project. This is because the work that the church and the project do is highly valued. So, the community leaders look to the church and the project with much hope for their children and for all the children in the area. Dear sponsor and donor, I would like to encourage you to keep on supporting this ministry that has to do with the expanding of God’s Kingdom. It is not an easy task because it has to do with changing our society (that is every day more decadent) by providing men and women who have this desire of serving others and not just serving themselves. I ask you to please pray for children in Bolivia who live in poverty and vulnerability so that God gives wisdom to all of us who are working on this to do His will. Thank you for your support; it is fundamental. Juan Quisbert suffered strong chest pains from the time he was a young boy. “I couldn’t do physical activities. I didn’t pass physical education at school,” he says. When Juan was seven years old, he joined the Compassion program at his local church. When he was 13, a regular medical checkup revealed he had an arrhythmia. Juan Quisbert suffered strong chest pains from the time he was a young boy. “I couldn’t do physical activities. I didn’t pass physical education at school,” he says. When Juan was seven years old, he joined the Compassion program at his local church. When he was 13, a regular medical checkup revealed he had an arrhythmia. “At the project … they detected the illness, and they sent him for analysis and studies. We didn’t have the money, so the [church’s] help meant a lot for us. They helped us economically. They also helped Juan spiritually and encouraged him,” says Paulina, his mother. Juan is now 17 years old, a tall, thin young man with a shy temperament but a captivating smile. He is in the military service, something even the doctor told him he couldn’t be part of because of the tough physical activities. Thanks to the Lord and the treatment, he feels much better. Recent exams also show a great improvement in his health. Juan is also happy for now having a normal life. He is in 12th grade and wants to study business administration. “Now I’m happy that I don’t have any impediment,” he says. “I don’t feel the strong pains that made me stop, as [I did] before. When I feel pains, they are only because I [have been exerting myself], so I have to go slowly. I’m happy I can be in the military service. Please pray for Diego, 13, a Compassion assisted boy who recently had one leg amputated below the knee after he was diagnosed with cancer. Please pray for his recovery from surgery and for his mother as she supports him. Pray that the cancer will not return and that he will receive an orthopaedic leg to help his mobility and confidence. Pray for Jheyson and Edson, orphaned brothers who have been getting mixed up with a local gang. They have been separated from each other as a last-ditch effort to get them back on track. One lives and works with his uncle (he was thrown out of school) and the other lives with his grandmother. Please lift both boys (and their carers) up to God and ask for His restoration and wisdom. Pray for the staff of the Cristo La Unica Esperanza Child Development Centre (BO0642) in Potosi, who are asking that God will provide them with resources to complete their construction of larger classrooms at the centre. Please pray for Lizbeth, one of the staff members of the Compassion Bolivia national office. Lizbeth is pregnant and will soon give birth. Please pray for wisdom for the doctors, a safe delivery and a healthy baby. And please pray for the political situation in Bolivia; for the growing unrest, widespread claims of corruption and the local drug trafficking and gang activity that is putting children at risk. 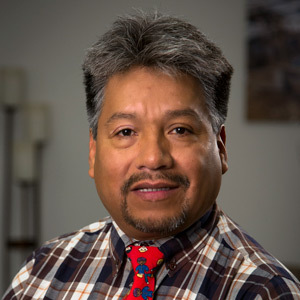 Luis was devastated by serious medical diagnoses at a vulnerable time of his life. But with the prayerful support of his friends at church and the Compassion program, this talented teenager says he was released from emotional poverty—and is now free to pursue his life’s passion: art. One January afternoon in Bolivia, Daniela* went walking--and didn’t come home. But in a seemingly hopeless situation, her local church took up the fight for her freedom.